Displaying an electric turn of foot, striking Commands gelding Washington Heights came from last on the turn for a belated first stakes success in the $200,000 Group II ATC Schweppes Shannon Stakes (1500m) at Rosehill on Saturday. With Kerrin McEvoy in the saddle, Washington Heights was eased back to last in the early stages as Imposing Lass led them along at a sensible pace. With his main danger Dawn Wall giving him a cart into the race, Washington Heights was eased to the centre of the track to mount a challenge, quickly picking them off one by one before getting the better of a resurgent Mighty Lucky by half a length. “He’s had his issues and there were doubts about him running 1500m but I had no doubts about him,” said his trainer Gerald Ryan. The Shannon Stakes is a win and you’re in for next Saturday’s $1 million Group I Epsom Handicap (1600m) at Randwick, although Ryan said he was a doubtful starter. “The plan was to have four runs this preparation and then see, I am not going to make a raceday decision on him,” Ryan said. Highly regarded by the Ryan yard, Washington Heights finished second to future Group I winner Hallowed Crown in the Group III Kindergarten Stakes at his only start at two. He lost no friends when second to Nostradamus in the Group III San Domenico Stakes at three before losing form. Washington Heights was sent to Hong Kong where he won two of his four starts at four before being sent back to Ryan to win his only start at Rosehill at five. 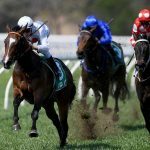 After a battling fourth at Rosehill to kick-start his six-year-old season, the son of Commands scored a brave win at Randwick at his most recent start. 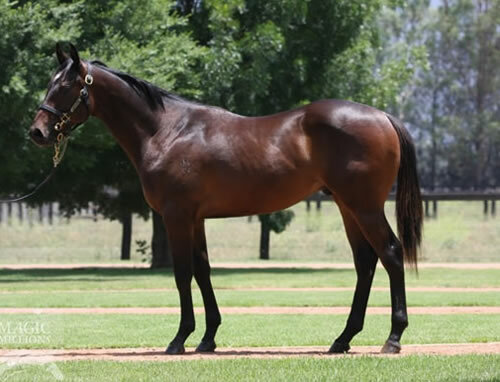 A $300,000 purchase by David Raphael from the Widden draft at the 2013 Magic Millions Gold Coast Yearling sale, Washington Heights was foaled and raised at Widden and becomes the fourth stakes winner for the Octagonal mare Demanding. 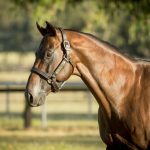 A half-sister to multiple stakes winner Victory Dash out of a half-sister to Golden Slipper winner Tierce, Demanding’s previous stakes winners were Spacecraft, Phenomenons and Supply And Demand. David Raphael outlaid $60,000 for Widden Stud’s Epaulette colt out of Demanding at the 2017 Inglis Classic Sale in January.